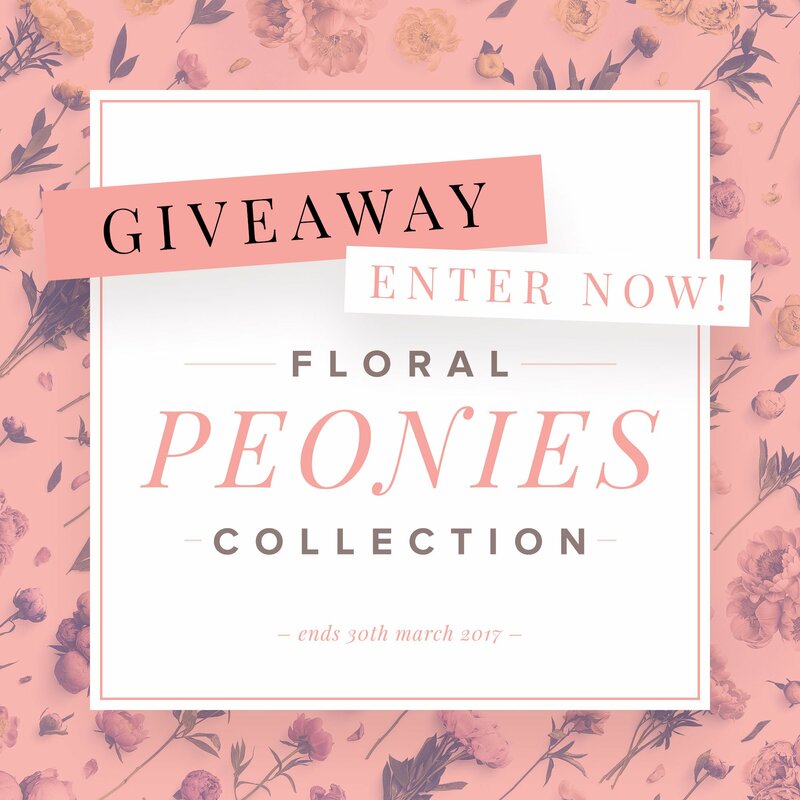 Home / Giveaway / New Collection: Floral Peonies Collection + Free Wallpaper + Giveaway! The last few weeks we have been working hard to finish the latest in our floral collection, the Floral Peonies Collection, so you can have it just in time for spring! In our opinion it is one of the most beautiful collections that we have done so far and has been a long time in the making. It really gives you that lovely spring feeling that we all look forward to! The collection has 285 isolated objects including a range of peonies in different positions. Peonies with stems, without stems, closed buds, buds in bloom, leaves and individual petals. The collection also includes 15 premade scenes. These provide you with that bit of inspiration you might need just to start your own scene which you can then edit to be exactly how you want it to be! Change the color, add or delete objects, change the angle and position of the objects, make it totally unique to you! Adapt the image by keeping the stem on the flower or hiding it depending on what you need. As usual the premade scenes also include several backgrounds that you could use as a base for your scenes. However in this collection we have tested a new feature to the background mockup for the first time. Adding your own text to the background now takes on an even more creative look. When you add your text to the background it takes on the texture of the background giving it a natural and realistic look. Try it out on our wooden and slate backgrounds to get that rustic feel to your text. We hope you like it and would love to know what you think about it! Bonus: Download your free wallpaper! Get in that spring vibe by downloading our free wallpaper for your computer screen, tablet or phone! To celebrate the launch, we are doing a giveaway of the Floral Peonies Collection. Check the form below to enter. To increase your chances of winning share the link across social media. Each post will count as an entry into the competition. The giveaway will be available for two weeks (31st March 2017) and after that the winner will be announced on this blog post the 3rd April 2017. Previous post: Winter Cozy Collection has arrived + Giveaway: Get your hands on a copy! Next post: Wedding Collection Giveaway 3 Prizes available!